Earlier this month, you could find me high up in the Santa Cruz mountains of Northern California, not so far from San Francisco, at a beautiful artists’ sanctuary called the Djerassi Resident Artists Program. I was gifted a writing residency there once before, in 2012, but my visit this month was to share my love of the place—and its inspiration, its magic—with my fellow YA and middle-grade writers. 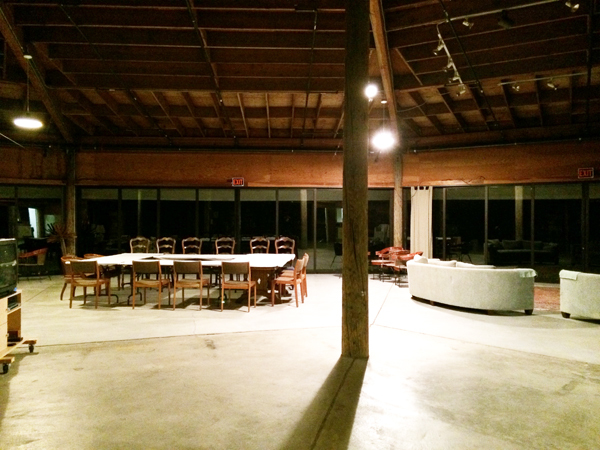 The very first Djerassi YA Novel Workshop & Retreat was February 9–14, and it went better than I could have even hoped. The first workshop week was so rewarding for me that I jumped at the chance to hold one more YA Novel Workshop & Retreat at Djerassi next year, in June 2015. Applications for the June 2015 workshop will open this spring. Watch this space for an announcement of when applications become available. If you’d like to be on my mailing list to be notified by email when the 2015 workshop applications open, let me know! Applications for June 2015 will open this spring! I can’t wait to do this again… two more times!